Eid is just around the corner and everyone is gearing up to the happiness, delicacies, festivities, shopping and prayers. 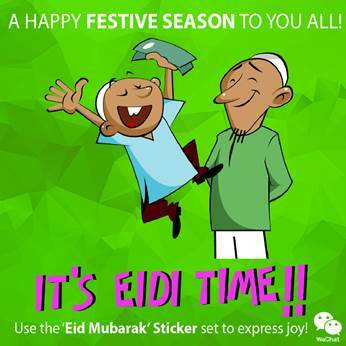 To add to the festivities, WeChat has introduced special “Eid” stickers this season to express and share the excitement of this glorious festival. WeChat has constantly introduced innovative animated localized stickers to make social interactions for users more fun and exciting. User can share these with their friends and family during the festivals. These stickers help users communicate more effectively by capturing the emotions and expressions better than simple text messages. Top 5 Business Software Trends to Pay Attention To!